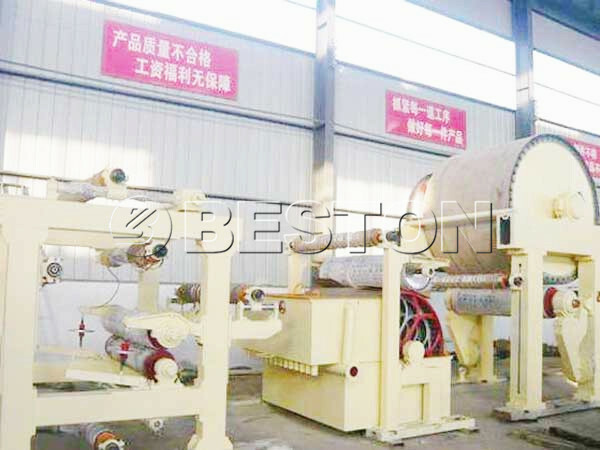 Paper napkin machine manufactured by we Beston Machinery can make various shapes of paper napkin. We have been focusing on manufacturing all types of paper machine for sale for many years. Now, we can provide you the machine with high quality, advanced technology, easy operation, and long service life time. Meanwhile, the napkin making machine price of our factory is competitive. More types of the machine for you to choose: BT-787, BT-1200, BT-1092, BT-1575, BT-1880, BT-2640. Buy the high quality machine according to your needs. 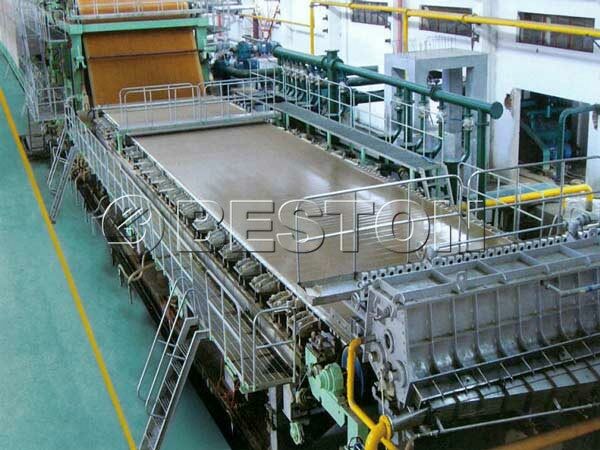 Putting the raw material material (Wood pulp, cotton pulp, virgin pulp…) into pool is the first process to make paper napkin. Then you can get wet paper product with napkin folding machine. You should use the paper dryer machine to remove the extra water. There are many factors that affect the paper napkin machine price and tissue paper machine price, such as machine manufacturing cost, factory scale, quality of machine, technology of the machine, market condition and so on. You may buy the machine with the same or higher price from large scale factory. The large scale factory can guarantee more advanced technology and high quality. You get what you pay for. If you want to buy a high quality napkin manufacturing machine, you should pay the corresponding money. If you find the machine that has lower price than the market price. You should think carefully before you act. You can not buy the machine with poor performance. 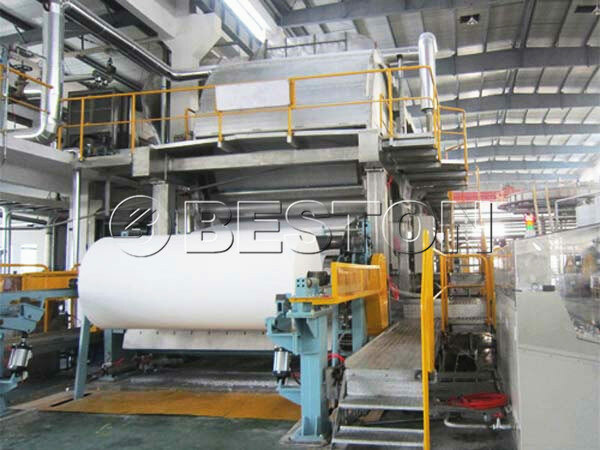 In order to decrease your investment cost, we Beston Machinery insist to reduce the paper napkin machine cost through improving production technology and overcoming manufacturing difficulties. At present, we can complete manufacturing the whole machine with less time. You can compare the napkin machine price from other manufacturers. You will find our machine not only has good quality, but also reasonable price. Firstly, large demand for napkin paper. paper napkin is a one-off consumption product. After using, you should use the new one. Everyday, we may use 10-20 pieces of paper napkin. with the development of economy and tourist industry, plenty of napkin paper is needed at restaurants and hotels. 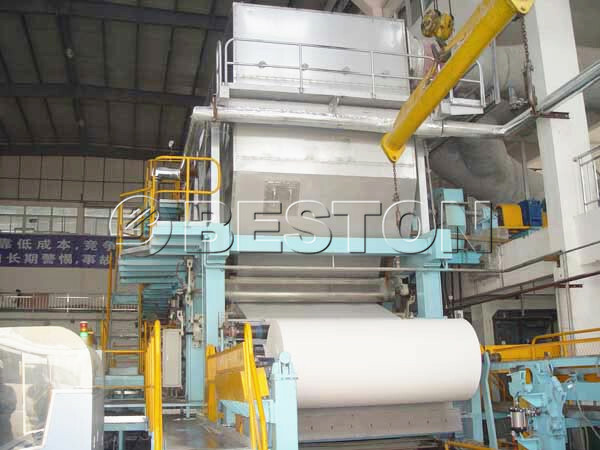 In order to satisfy the needs of people, we need the napkin paper machine to produce a lot of napkin paper. Secondly, environmental friendly napkin machine for sale. In the production process, there is no contamination. Meanwhile, if you use the recycle paper to make new napkin paper. You can make full use of resource and make waste into treasure. Recycling paper can reduce the pressure of environment. Environmental friendly is the theme in the present. The napkin folder machine and A4 paper manufacturing machine meet the current development trend. It can bring your business great benefits. Thirdly, the napkin paper machine price is affordable. If you want to start this business, you are able to pay for it. Not like some big business, you need to invest a great deal of money. The tissue paper napkin making machine is fit for most investors. From the above mentioned, we know that the machine has good development prospect. You should seize the opportunity for investing this industry. 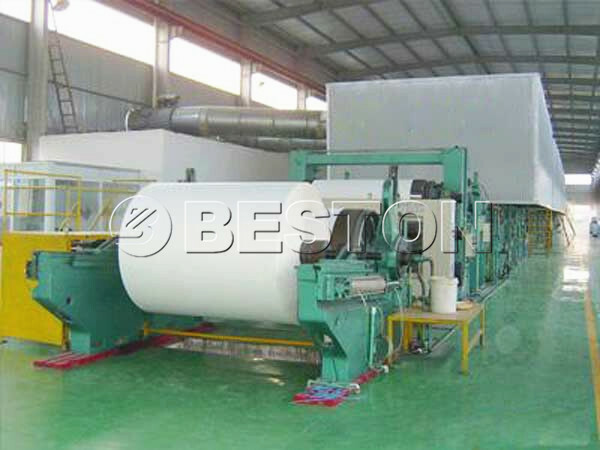 As one of paper napkin machine manufacturers, we Beston Machinery has professional manufacturing experience. 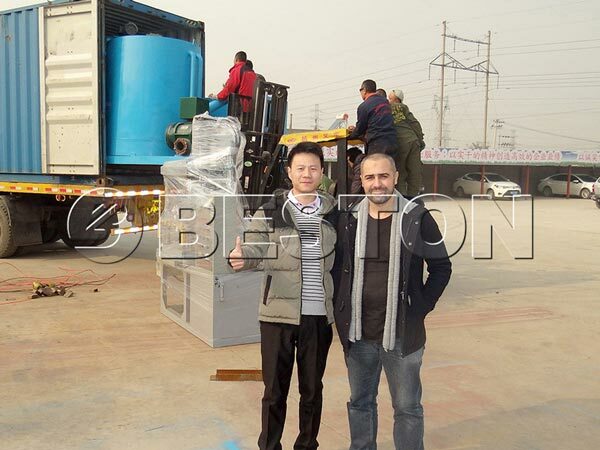 We have exported our napkin machine and craft paper machine to many countries, such as Algeria, Egypt, Russia, Ukraine, Australia, Argentina, Brazil, Saudi Arabia, Libya, Syria, etc. All customers have a long term cooperation relationship with us. We also hope to establish win-win relationship with more customers. If you buy the machine from our factory, we will provide you professional installing and worker training guidance. 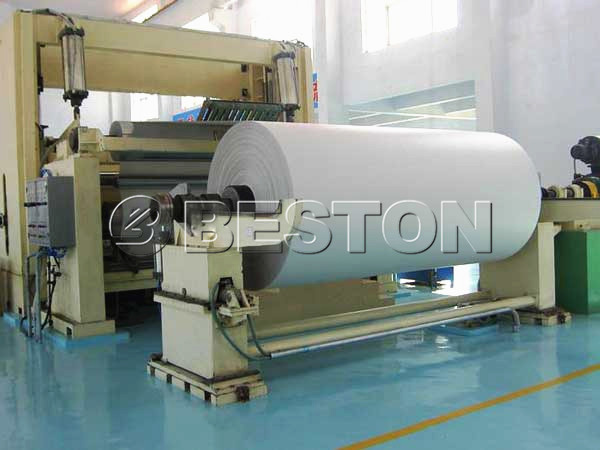 You will find the Beston Machinery paper napkin making machine price is competitive.